Before the session print and cut out sufficient templates for one per child. Make some sample ‘fancy gates’ so the children know what they are making. 1. Carefully fold your paper doily into quarters. 2. Open out your doily so that it is now folded in half. Cut the folded doily into two as shown in the picture. 3. Colour in and cut out your city template. Mount the template on an A6 piece of card. Fold the mounted template along the dotted line. 4. Fold the doily around the template as shown in the picture. The folded edges of the doily pieces should meet at the centre. The cut edges should form the bottom of the gates. 5. 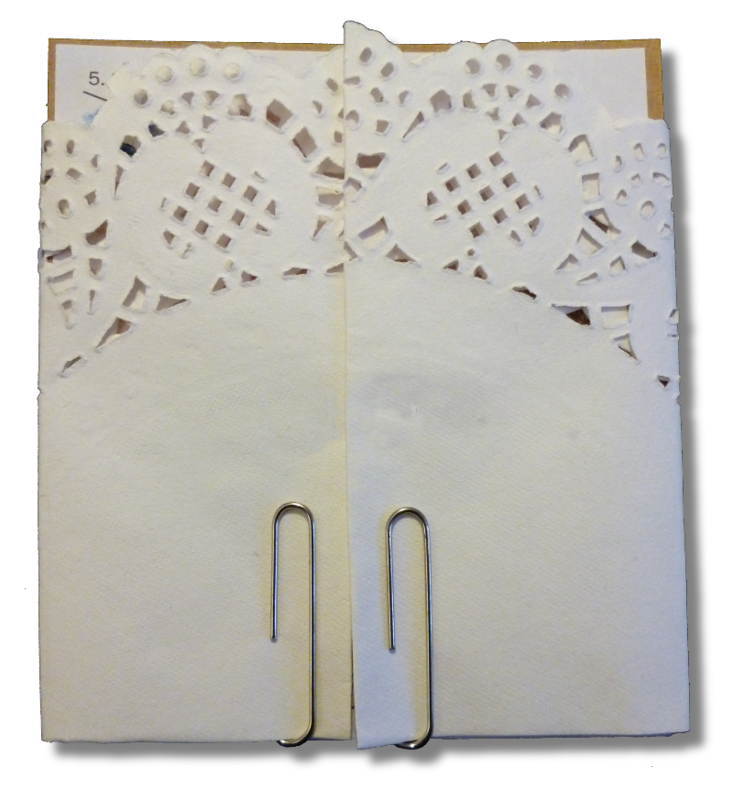 Stick the doily to the back of the card using two or three pieces of sticky tape. 6. Slide two paperclips to the bottom of each gate. You may also want to draw a couple of handles on your gates. 7. Position a paper plate so that half of it overhangs the edge of a table. Stand your gate on the half of the plate supported by the table. With one hand press down on the flap at the back of your gate – holding it steady. 8. With your other hand hold the magnet underneath the overhanging part of the plate. Press the magnet to the underside of the plate so that it attracts one of the the metal paperclips through the paper. Now slowly move the magnet towards the edge of the plate so that it opens one of the gates. This may take some practice. 9. When you have mastered opening one of the gates try opening the other.